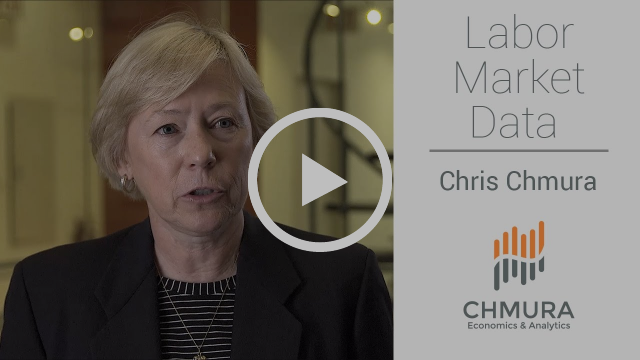 As CEO and Chief Economist of Chmura Economics & Analytics, Chris and her team of experts continue to innovate data solutions that help answer critical client questions across the public and private sectors. She is a thought-leader on labor market data and a nationally recognized speaker among site selectors, economic developers, private firms, workforce practitioners, and educators. Chris has served as a keynote speaker for national and international conferences, and is a quoted source on regional and national economic trends in the media throughout the nation. 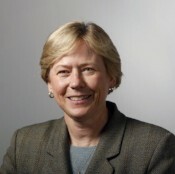 Her forecasts are included in the Blue Chip Financial Forecasts, which is synonymous with the latest in expert opinion on the future performance of the American economy. Chris is a former board member of the National Association of Business Economists. Prior to founding Chmura Economics & Analytics in 1998, Chris was the Chief Economist at Crestar Financial Corporation and prior to that an Associate Economist at the Federal Reserve Bank of Richmond. She received her Ph.D. in Business with a major in Finance and a minor in Economics from Virginia Commonwealth University in Richmond, Virginia. Chris has served on the Governor’s Economic Advisory Board of the Commonwealth of Virginia for the last seven governors.